Bold Pair: How to Wear Navy and Black! Black and navy are the it neutrals of the season. Paired together, they create sophisticated, sleek looks that leave us wondering why we’ve waited this long to bend the ‘no navy and black’ rule. Stylist tip: Juxtapose textures and fabrics to add depth to your look. 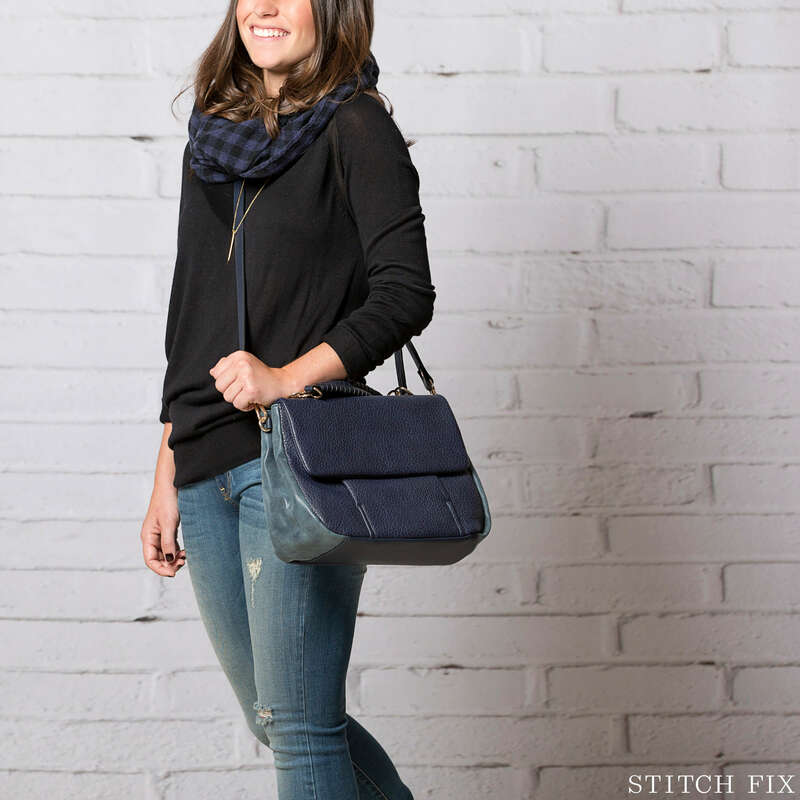 Look 1: For a casual weekend look, pair a simple black sweater with a buffalo checker scarf and tonal handbag. Look 2: For drinks out, add some panache to your work look with a floral blouse, draped blazer and embellished tuxedo pant. Look 3: For 9-5, try pairing a navy peacoat with leather accents over a pleated black shift dress. Instant power dressing! Love the looks you see here? Schedule a Fix and reference the outfit details in your note to your stylist!